iLoveToCreate Blog: Our products on ABC's Grey's Anatomy! Our products on ABC's Grey's Anatomy! 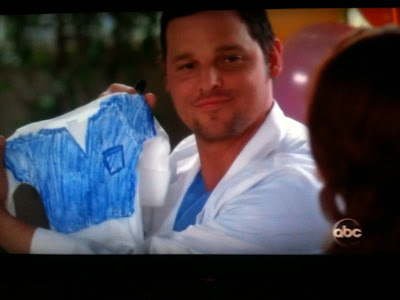 Last night on Grey's Anatomy, they were having a onesie-making party using a bevy of our great Tulip® and Scribbles® products! 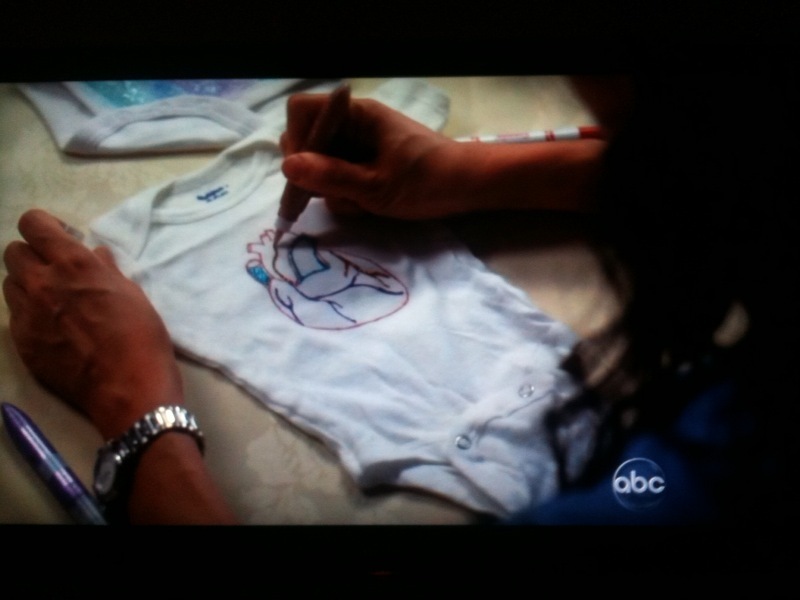 The actors were seen decorating onesie's with Tulip® Markers, 4oz Tulip® Paint, 1oz Scribbles Paint, and Tulip® Paint Pens, with our product displayed up and down the table. Wonder if we'll get a Primetime Emmy nomination for our fabulous product cameo?? Haha! This isn't the first time our products have been featured! Our products have been seen twice before on Grey's Anatomy, 2 times on Glee, and a handful of times on VH1, MTV, and Food Network reality shows! Wow, I would like to craft with some of those guys!